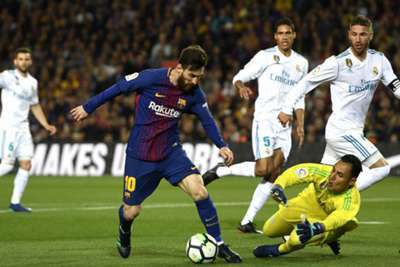 LaLiga has struck a 15-year deal with multinational media, sports and entertainment company Relevent which looks set to bring a Spanish top-flight match to the United States for the first time. 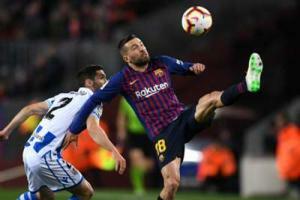 Thursday's announcement sees LaLiga partner with Relevent, the company behind the International Champions Cup, in a move that aims to promote the division in the US and Canada. The idea of major European leagues being hosted in other parts of the world is not a new phenomenon, with the Premier League discussing in 2008 potentially having an "international round", but that never came to fruition. With LaLiga North America set up as a new organisation, Relevent say the agreement will boost Spanish football's "growth in the USA and Canada through consumer-related activities, including youth academies, development of youth soccer coaches, marketing agreements, consumer activations, exhibition matches and plans to have an official LaLiga match played in the USA." The finer details of the agreement with respect to the USA-based match have not been confirmed. #LaLiga and RELEVENT partner to promote soccer in the US and Canada. But LaLiga president Javier Tebas is convinced it is a step in the right direction for Spanish football and the sport in North America. He said: "We're devoted to growing the passion for football around the world. "This groundbreaking agreement is certain to give a major impulse to the popularity of the beautiful game in the USA and Canada. "Relevent has filled stadiums across the USA with the International Champions Cup, we're thrilled to partner with them on a joint mission to grow football in North America."